Dr. Naa-Solo Tettey knew from a very young age that her passion is in helping people. 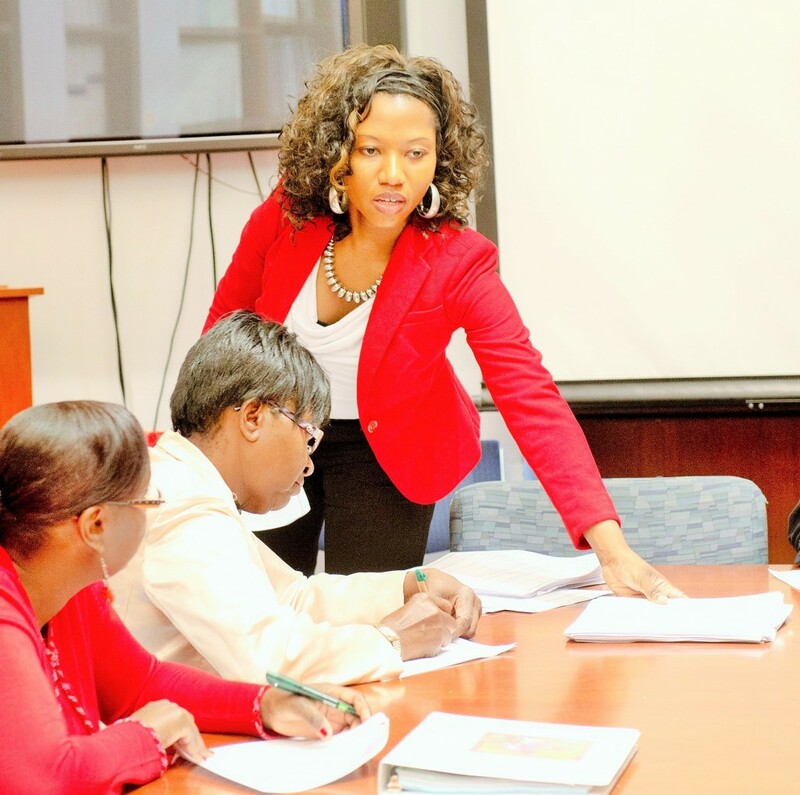 Whether she is working with students as a professor, educating community members through the HeartSmarts program, or just spending time with family and friends, it is clear that her goal is to always empower others to believe in themselves and strive for greatness. Dr. Naa-Solo Tettey is an assistant professor of public health at William Paterson University. She is also the creator of the HeartSmarts faith-based cardiovascular health education program sponsored by New York Presbyterian Hospital/Weill Cornell Medical Center. She considers herself a life-long learner and has completed a Bachelor of Science degree in psychology, a Master of Arts degree in clinical psychology, a Master of Public Health degree, and an MBA in health care administration. In addition to this, she also holds a doctorate in health and behavior studies with a concentration in health education from Columbia University. Growing up in the predominantly African-American town of Roosevelt, New York, Dr. Tettey was able to witness, firsthand, the health disparities that would later become the focus of her work. While studying psychology at Northeastern University, she learned how systematic and widespread the health problems of poor and minority communities are. “I discovered many disturbing facts dealing with minorities and mental health. I learned that minorities in America face severe economic, cultural, linguistic, and physical barriers for treatment of mental illness, difficulties that prevent thousands from being properly treated. I knew that I wanted to give a voice to these issues” said Tettey. It was after this experience that Dr. Tettey transitioned into public health research and health education. She worked at Yale University on various obesity prevention initiatives including the New York City Calorie Posting campaign. From there, through her role as coordinator of cardiovascular health education at the Ronald O. Perelman Heart Institute of New York Presbyterian Hospital\Weill Cornell Medical Center, she went on to develop various faith-based health education initiatives, including the HeartSmarts program. Due to its effectiveness in improving health outcomes and increasing awareness regarding heart disease, HeartSmarts has been recognized as a model faith-based health program. As a result of this work, Dr. Tettey was awarded the Outstanding Innovations in Community and Health Education Award at the 5th Annual Health Disparities Conference at Columbia University. When asked why she believes the HeartSmarts program has been so effective, Dr. Tettey stated, “HeartSmarts teaches people, through the use of scripture, that they can be in control of their health. Dr. Tettey currently resides in New York City and lectures nationally about various topics including health disparities, cardiovascular health, and culturally tailored wellness programs. For more information about the HeartSmarts program, she can be contacted at nat9034@nyp.org or 212-746-0484.